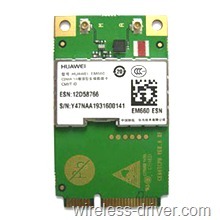 Download HUAWEI EM660 Wireless Windows XP,Vista,Win7 Driver. - If this package has been installed, updating (overwrite-installing) this package will fix problems, add new functions, or expand functions as noted below. - This program is language independent and can be used with any language system.